Purex® Plus Clorox® 2 has the 100 stain cleaning power your laundry needs! But did you know there are everyday household tips you can use along with your detergent to help fight some of life’s hardest stains. Run the item of clothing under cold tap water immediately after the stain. Make sure to douse both the front and the back of the stain. Rub the stain gently for one or two minutes to help loosen up the stubborn marks. Repeat this 2 to 3 times before washing. Soak the item of clothing in cool water with 1/2 teaspoon of detergent for 30 minutes. Rinse the stained area, then pretreat with a small amount of detergent by gently rubbing it directly on the stain. 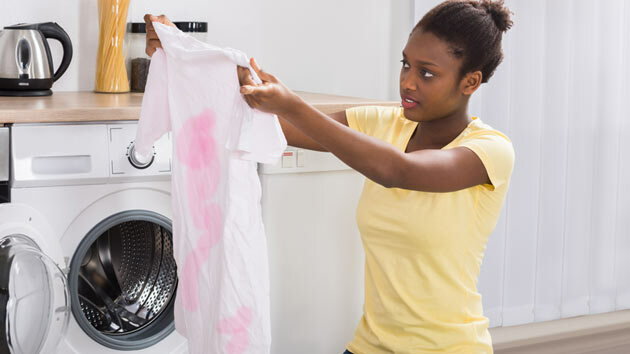 Gently rub liquid detergent directly onto the stain, then wash. Make sure to air dry! Heat from the dryer can set in any remaining stain particles and make getting those last bits out extremely difficult. In a small container combine 2 cups of cold water with 1 tablespoon of detergent. Dampen a clean cloth in the solution and use the cloth to gently rub out the visible stain. Wash normally afterwards to complete the removal. Pretreat by rubbing firmly with liquid laundry detergent. Next, soak in warm water for 30 minutes. Wash as you would normally with a suggested extra rinse cycle.